Other than just excitement, there’s also this anxious feeling that I get because of the uncertainties of what this year (or future) could bring. It can be a bit overwhelming and worrying at the same time. When that happens, I started to write down some goals, break the goals into smaller tasks, and then narrow down each task into more detail like assigning a schedule and estimating the time and duration to complete it. I feel so much better and in control when I have the visibility, focus and target for the year. It also keeps me busy and grounded. Some of the goals are a bit personal so I don’t share them publicly. This year, I plan to take more things off my plate and not over-plan my goals. 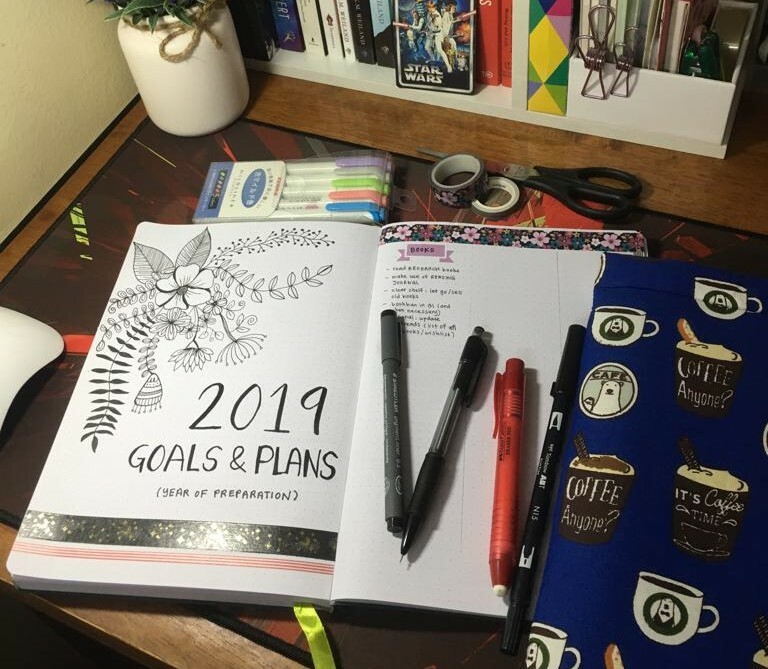 And pretty much the same as last year, I am still using a Passion Planner for 2019 because I find it helpful and easier for me to track my daily plans and logs, and doing monthly and yearly reflection. 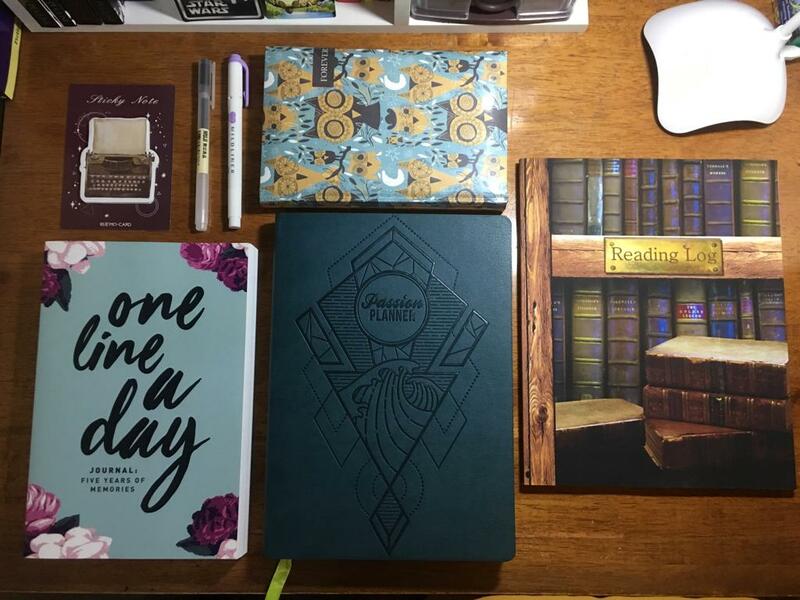 For this year, I utilized the back pages of the planner by adding detailed tasks, trackers and record keeping stuff for the entire year. In mid 2018, I brainstormed and wrote quite a chunk for my manuscript project. I also came out with the best title that fits the story. By November 2018, I decided to temporarily stop writing my manuscript. This time I don’t abandon the draft because I still want to work on this piece, even if it takes another 5 years or more to complete. I put a pause on this work because there’s a lot of loophole that I need to address before I can continue. After I’ve written for about 30,000 words for this project, I felt that I am starting to force myself to work on it and the output turned out to be not something that I hope for. So this year, I’m taking a break from it and plan to work on writing smaller pieces like essays, reviews and short stories. I am also taking this time off to study the craft and do plenty of research notes management. This article which tells about how you can ramp up your reading is a good one and reading will be one of my major goals for this year. I don’t set any ambitious target for to-be-read (TBR) books (only 15 books) just because: (i) I am a slow reader with short attention span, (ii) I have a lot of other life stuff that I need to tackle this year (iii) I have to accommodate for my mental health so I don’t torture myself. My reading goals are particularly towards what I called as reading ‘research books’ from a list that I’ve made in 2018. These research books (both fiction and non-fiction) are books that have similar genre, themes and specific subjects that are related to my manuscript project. I don’t count this year as to complete my Philosophy and Mental Health studies because that is another tedious chunk of work which requires more time and commitment and they need to be separated from reading target. I’m also putting myself on another round of book-buying ban in the first quarter of 2019 because last year, I splurged on books and added so much more to my TBR piles. Apart from above, I also just recently lost my main source of income somewhere at the end of 2018, so I need to allocate some major time and effort this year for another job hunt and side income. In between, I hope to also be able to practice and brush up my skills on some arts stuff like sketching, lettering and so on. So, a word for this year? I actually call this year as a ‘Year of Preparation’ and to fuel in as much knowledge and reading as I could. I also love the word ‘Dedicate’ as how Adriene Mishler use it on the first month of her yoga routine. 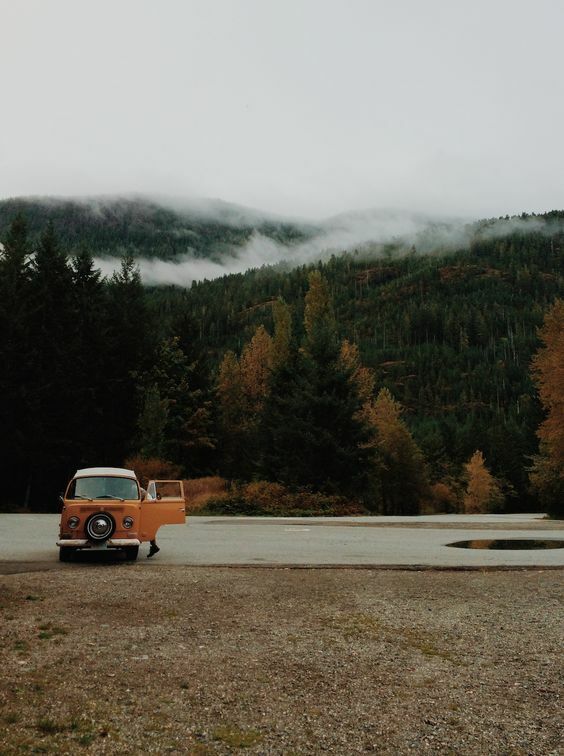 I remembered someone said that even on days when you are exhausted or when you have no mood to do anything, try to dedicate as little as 5 minutes to things that you have planned for that day. You will be amazed at how much you can do and how strong your willpower is. Dedicate some time to rest and play too. Life balance and self-care are what most important. That’s about it for my first post in 2019. Do you have any major goals that you want to tackle this year? I wish you the best and success for your life and dreams. Happy New Year, may this year be great and bless us all.